Mainly Theodor Pallady works, but also other European paintings, sculpture, etc. 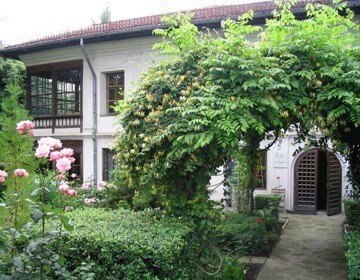 The museum is hosted by the Melik House, one of the most beautiful houses in Bucharest. Closed: Monday, Tuesday, 1st and 2nd of January, the first and the second day of Easter, the first and the second day of Pentecost, 1 May, 15 August, 30 November, 1, 25 and 26 December. Locals in Bucharest have reviewd Theodor Pallady Museum - Museums in Bucharest. You can get here description, reviews, address, map, phone, website of Theodor Pallady Museum in Bucharest. Visit Bucharest Tips for more Museums in Bucharest!